It seems that much like the rest of society many of Britain’s Asian business and political leaders are divided on where they stand over Brexit. There are number of Asian MPs who are not backing their leader and therefore chose to resign. 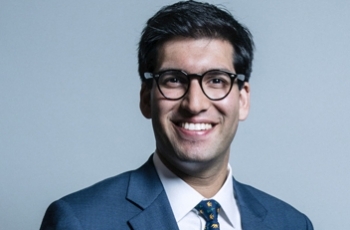 They include the former Cabinet member Pritti Patel, Shailesh Vara, (minister of state at the Northern Ireland Office) Suella Braverman, (parliamentary under-secretary of state for exiting the EU) Ranil Jayawardena, (ministry of justice) and Rehman Chishti. (Vice-chairman of the Conservative Party and the PM’s trade envoy to Pakistan) The decision to resign has always been an important one because those who resign are seldom invited back. Even though their resignation is related to the Brexit, they still have a responsibility to the Asian community in Britain. However, Conservative MPs such the Home Secretary Sajid Javid and the Minister Lord Ahmed are supporting the Prime Minister’s deal with the EU. The UK Prime Minister Theresa May gained approval from other 27 EU leaders at the summit in Brussels regarding the EU withdrawal agreement and the political declaration that sets out UK-EU relationship in the post-Brexit period. However, there is still a major challenge ahead for the UK Prime Minister. Within the next two weeks, she will need to persuade MPs in the UK Parliament to approve the EU withdrawal agreement and accompanying political declaration. Negotiation with the EU regarding the Brexit deal has finally come to an end, but it was not the end of the story. If Mrs. May received less than 320 votes from the Parliament on December 11th, things would only get more complicated as either a general election or a second referendum might be held. The clock is ticking for the British government.